Did you know that if you own or operate a business in Christchurch, you are legally obligated to make sure it is fire safe? This includes the provision and maintenance of fire protection equipment. The best protection is prevention. 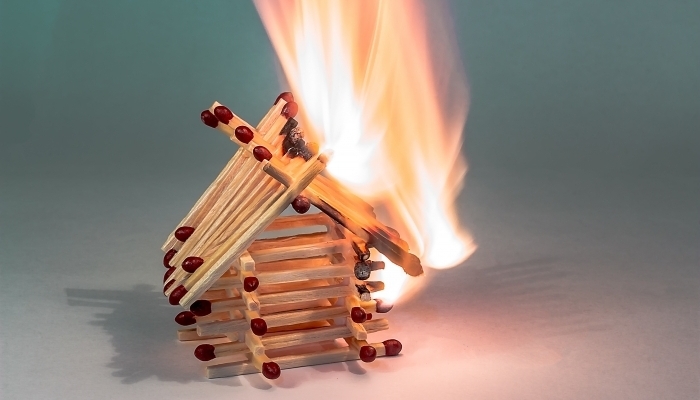 At Jim’s Fire Safety, we help businesses prepare for a potential fire on their property – minimising the chances of damage to property and harm to employees. Contact our fire safety services Christchurch team and get a free quote for any of our services. At Jim’s Fire Safety, we offer a comprehensive range of services to help you make sure your business is as safe as possible. Through the use of hand-held firefighting equipment, most small fires can be contained before they cause a hefty amount of damage. Invest in regular maintenance with our team to ensure your protective equipment functions correctly when you need it most. Our technicians are trained in both fire safety and electrical safety. If you’d like to know more about our electrical services, take a look at the Jim’s Test & Tag website for more information. Every member of our fire safety services Christchurch team complete their work according to the current New Zealand standards for workplace safety. Choose a friendly team with years of experience to manage your protective equipment. One of our most popular services is fire extinguisher inspection. Every workplace needs a functional fire extinguisher and regular testing to make sure it is working properly. At Jim’s Fire Safety, we also supply and install fire extinguishers. There are a range of fire extinguishers designed to combat various types of fires – let our team help you select an extinguisher that is appropriate for the associated risks in your workplace. Our fire safety services Christchurch team test and inspect fire extinguishers according to the NZS 4503:2005 standard fire hand operated fire-fighting equipment. The standard dictates that all types of fire extinguishers need to be tested at least once every 12 months (though a 6 monthly interval is recommended by our team). If you have recently used your extinguisher, please contact us immediately for an assessment. After testing, we will affix or update the service tag on your device. This will help future operators identify the status of the device before use as well as help you keep track of your compliance requirements. Sick of trying to stay on top of your safety testing requirements by yourself? No worries – simply opt in to our free reminder service and we will send you out a notification when your next testing period is approaching. This period will also be available for your reference in the log book of results that you receive after each test. You will receive a physical copy and we’ll keep one in our records should you ever need to prove your compliance. Choose our fire safety services Christchurch team for all of your safety inspection requirements. Simply contact us now and we will put you in touch with your local technician. At Jim’s Fire Safety, we care about spreading safety and awareness throughout our local communities. Let us help you today to save lives in the future.